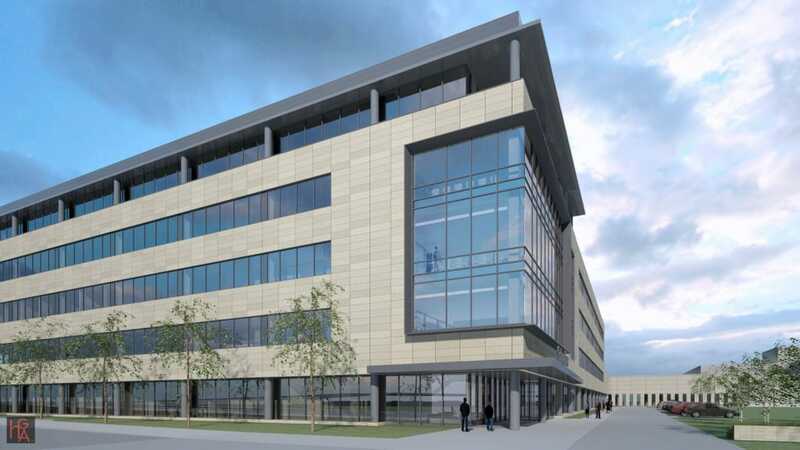 Gilbane provided integrated construction management services for the Schreiber Foods Home Office and Global Technology Center in Green Bay Wisconsin. 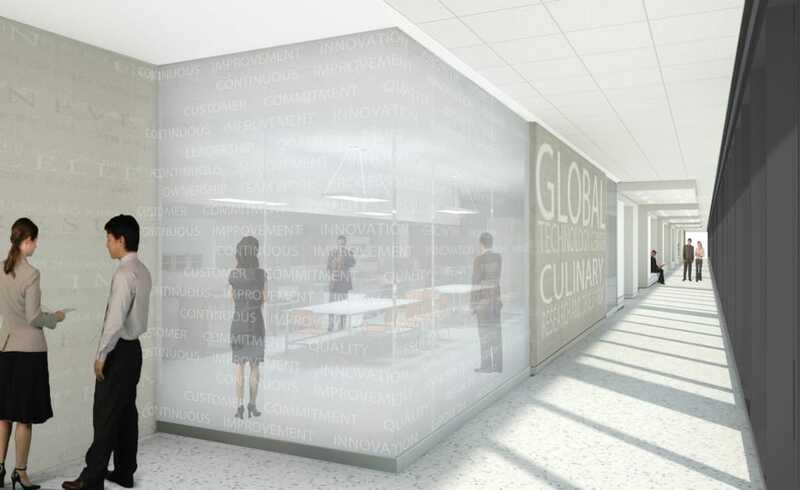 The facility serves as Schreiber Foods’ corporate headquarters and consists of office space; kitchen, servery, and multiple test kitchens; laboratories; data center; and pilot plant for evaluation of new dairy processes. Numerous pre-installation meetings and detailed mock-ups helped ensure the pilot plant equipment, material, and details incorporate industry and Schreiber standards. The exterior enclosure includes a mixture of a Biesanz-stone cladding system, metal panels, curtainwall and precast wall panels. An extensive mock-up was constructed to finalize details at material transitions to ensure water tightness before proceeding with construction of the building skin. 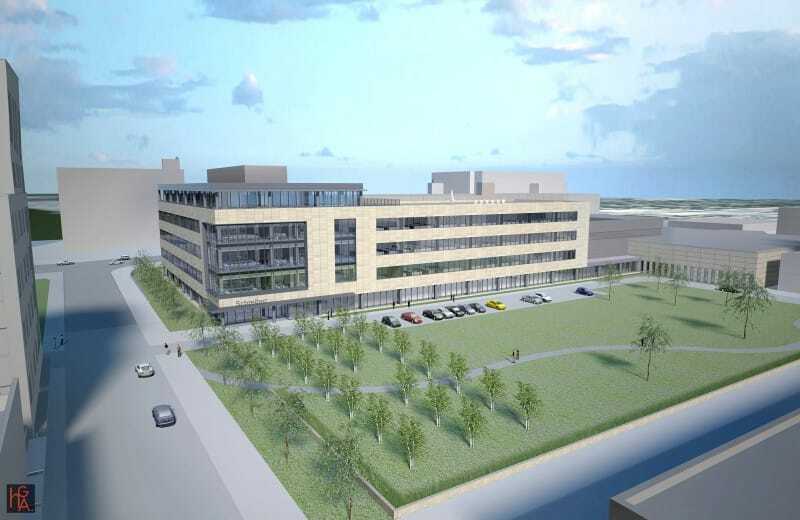 Gilbane worked with the executive and operational departments to create a detailed move plan for the consolidation and building decommission of Schreiber’s six previous locations into the new facility. The project team utilized BIM technology to coordinate the mechanical, plumbing, and electrical systems throughout the new building. To prepare Schreiber’s facility management team for building operations, a COBie system was utilized to collect data on maintainable assets. I’m happy to say that the Gilbane Team is the best CM team that I have ever worked with. The qualities that stand out to me are great customer focus, unwavering commitment to safety, aggressive pursuit of value, very organized, and an accountability mind-set.